I am very glad I attended Indieweb Summit 2017 in Portland. Since I learned a lot at last year’s event, I decided to make the trip again. The general format was the same: unscheduled sessions on Saturday and small projects on Sunday. 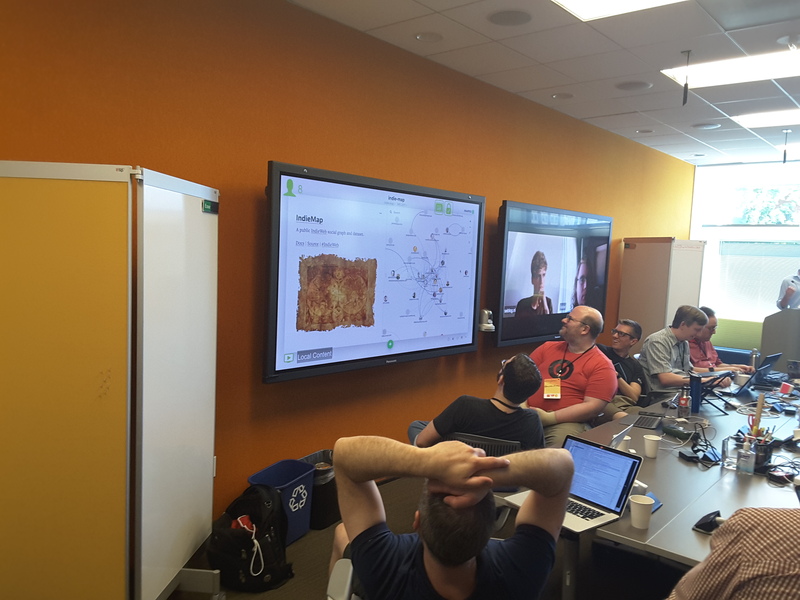 Prior to the sessions, there were introductions and some scheduled talks including a neat indiemap project. I found it interesting that a significant percentage of indieweb sites include a rel-me link to a personal keybase.io page. In the Specialized Micropub Clients session, I learned about webpage-micropub-to-github which enables people like myself who use the static-site-generator jekyll to make posts from any micropub compatible client. It accepts a micropub request from a client like quill and turns that into a git commit including the yaml front matter and content to a jekyll static site. This capability was developed by Pelle Wessman - voxpelli. It was a no-brainer for me that I needed to set this up on Sunday for my small project. It was great to be able to make a post without using git and, using quill, I could even pass my location of where I was posting from and include a map in the footer of my post. Afterwards, there was a fun meetup at a karaoke bar! Thanks to Tantek and Aaron and sponsors for another great Indieweb Summit! Indieweb Summit Thoughts posted on 03 Jul 2017 .